The Sensis report of 2016 found that 55% of Aussies are accessing social media more than 5x a day. In particular, 95% of respondents said they used Facebook. Additionally, Facebook use averages 12 hours per week. They found that these numbers have increased over the years. It’s no wonder we feel like we are addicted to Facebook! We spend half a normal day or 1.5 business days each week on it! So, how do I get everything done when I am addicted to Facebook? It’s not practical to delete your account. Though the thought has run through my head on more than one occasion, I just can’t do it. Not only is it impractical business wise to turn my back on the platform that’s built part of my business, I also need the interaction & connectivity it brings. I love seeing what my friends and family are up to. Unlike most addictions, being addicted to Facebook does not have to be an all or nothing affair – especially when your business has a Facebook page. Ok, I know I said that it was impractical, but I want to offer you a range of solutions that may work for you before I tell you what I do. If it’s the social side that sees you addicted to Facebook, then set up a new account with no friends and make it admin on your page and delete the first account. If it’s checking your mobile, then only have the Facebook Pages app on your phone so that you can maintain your page. Block Facebook on your laptop. Most businesses have it blocked, why not yours. If Groups are an issue, only access them through the Groups app. Set blocks of time in the day where you check it and then don’t look at it again. Only have access to Facebook on one device. Be diligent when using Facebook to ‘check for something’. Don’t be distracted by what someone is doing/saying or that cute cat video. So how do I manage my access to Facebook? It’s hard, when you manage a number of Facebook pages for yourself and your clients; have your own Facebook Group & admin others; there is always that temptation to ‘just check’. 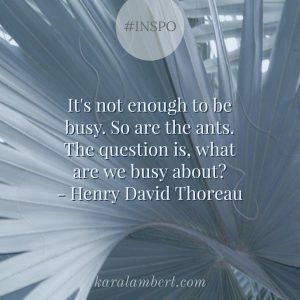 So how do I get so much done in a little amount of time? I rarely use them outside of my own and 3 other groups I am part of. In the main, I rely on Facebook Notifications to keep me up to date with what is happening. I have groups I am part of that I even turn off notifications and check them when I do happen to have some spare time. I schedule all of my and my clients’ content. In fact, I schedule the majority of it on a Sunday night. I fight that night time is a good time to do this as I don’t find it takes too much concentration. My clients’ content is scheduled using the Facebook schedule option when writing a post. I cross-promote my and my clients’ content from Instagram to Facebook using Zapier and scheduling through Grum. I find Zapier & Grum to be the most reliable tools to schedule content to Instagram and then have it shared to Facebook. Most of my communication is done through Messenger. Oddly enough, mostly on my phone too (unless I have one of those long messages to write). I actually don’t like Messenger on the desktop and use it so that I can touch type, but I find that it blocks my view of the page (which frustrates me). So my key here is two things: push notifications of messages to my phone & my smart watch. I actually bought my smart watch for 2 reasons; firstly to have access to text when my phone isn’t at hand and secondly for Messages. Having messages delivered to my watch means that I can glance and decide quickly if it needs a response and removes additional distraction. While I understand that a smartwatch might not be to everyone’s liking, the notifications on my phone of a new message is enough to have me feeling connected without always being on Facebook. I know this one is a bit of a no-brainer, but not having it open in a browser and knowing that it’s open has had massive benefit to my productivity. I do not have the temptation to go and check Facebook just because it’s there. Yes my phone is on my desk, right next to me, but I am rarely drawn to check it. 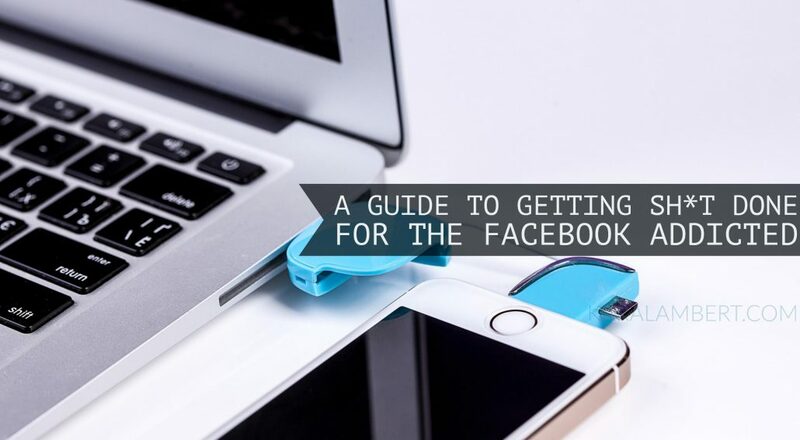 So how to get stuff done when you’re addicted to Facebook? Firstly, remove the distraction – which is what it is. Research states that it can take us between 10 seconds and 23 minutes to get back on a task. 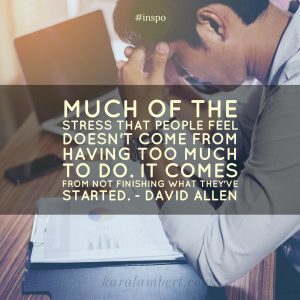 While this is the case, it’s more frightening to note that repeated interruptions increases the stress hormone, cortisol, and impacts on our beliefs in our ability and even increases depressive emotions. Facebook is a tool for you to use, not to be a slave to. It just needs reminding who’s boss. First of all, well done on deciding to use Facebook Live. Livestreaming is daunting at first. I should know, I’ve been doing it for 2 years and was involved in a record breaking 24/7 continuous livestream event. This guide is not about what kit to buy, what to say, but it is about those very first things you need to know when you are just starting out. If you are at home or some other private residence and you are not playing tourist guide, then people have no need to know where you are when you use Facebook Live. Yes, I have seen people tracked down by their location services while live streaming. Yes, it’s scary. Yes, it can also be beneficial. No, it’s not necessary to have it on while live streaming (unless you’re a tour guide and you are out and about). I tell you this, not to freak you out but to make you informed. Plane, train, bike, or any other form of transport (OK, if you’re a passenger and going Live that’s ok, just don’t distract the driver). Let’s face it, it’s illegal in most places in the world. There is nothing that can not wait for you to pull over and go live about. Yes, people have had accidents while livestreaming. I will admit, I was once tempted to do it. It was early one morning, the roads were clear and the sunrise was stunning and then a massive F100 car ran a red light when my light turned green and had I not been paying attention, he would have cleaned up the driver’s side of my car. While not a safety issue, it is a legal one. People have at the least had their Facebook Live videos removed, at worst had accounts shut down and compensation orders served all because they played a song on a live stream. Unless you own the copyright to a song or soundtrack, don’t play it. Copyright laws vary from country to country and what is ok in one might not be in another. It is preferable to use a wifi connection as Facebook Live uses a lot of data. Also, if you are using your phone, turn it to flight mode and turn your wifi back on to avoid calls and SMS interfering with or cancelling your Facebook Live. You do not need a fancy tripod, in fact, I started without a tripod. I used a set of boxes and books on a kids desk – that was my stand. A tripod can make it easier, but be warned that sometimes the mount for the phone actually pushes on the volume buttons and so it will take some careful manoeuvring to set up the right angle. Yes you could use a fancy lapel mic, but to be perfectly honest you actually don’t need one. I have only ever used phone headsets. Granted, mine are Senheisser and I bought them specifically for sound quality in live streaming; you don’t need anything more than the headset that came with your phone. Make sure you have ample light coming in from in front of you. This will light up your face, making you easier to see. While natural light is best, it’s not always practical. I use LED strip lights when recording my live streams. Don’t use them in the title of your live stream. Not all emojis for Android are on iPhones and vice versa. If you are using them to write a word or make your description understood and it’s not loaded on a viewer’s device, all they will see is an ‘X’ in a box and not your emoji. Not only is it frustrating for the viewer, it’s unprofessional. This one is entirely up to you. Personally, it depends if I am using my LED lighting. If I am I will wear make up so I don’t look washed out. Otherwise, I go by the premise that people are watching to hear what I have to say or see what I am showing, not to look at my make up. Wow did I get this wrong at the start and yes everyone is different on this. I started out using a script and it was woeful. It actually made me more nervous. I have looked into the online teleprompter services and found them to be cumbersome. So, I have a few dot points, if that, and I go from there. If you have a goal for the live stream, that’s all you need. You know what you’re talking about so talk. In the end, don’t take it too seriously. 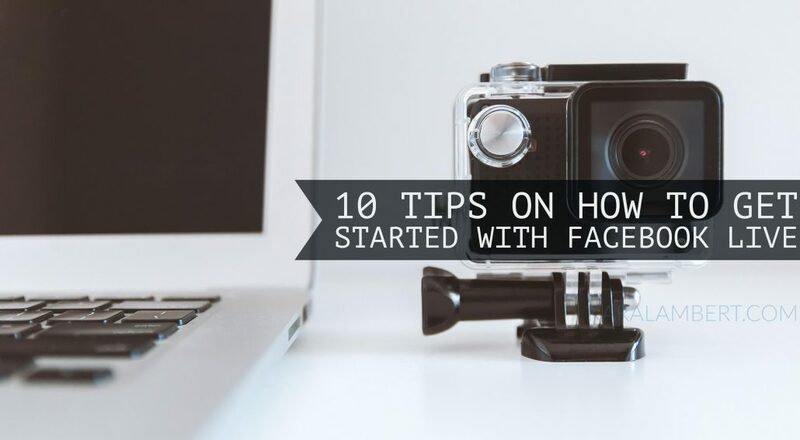 You are using Facebook Live to build a connection with your clients and not deliver a high-end news broadcast. People appreciate honesty, authenticity, and a little fun. The nerves will pass, it just takes time. This is precisely why I encourage the members of my Facebook Group to hone their skills. 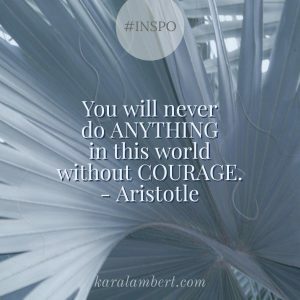 It’s a safe environment where courage is encourage and small steps towards a goal are celebrated.